Did you know these mind-blowing facts about Disney movies? We had no idea that Aladdin was modeled after Tom Cruise. Did you? We’ve just found this video about some mind-boggling facts about Disney movies. 9 Disney Movies facts not enough? Check out the full list! The guys over at BuzzFeed are great at making lists – we all know that. But they’re really outdone themselves with this behemoth of a list: 63 (!) facts about Disney movies. The video above picks out some highlights. For example, Arielle was based on a young Alyssa Milano, and ‘Part of Your World’ was almost cut from The Little Mermaid, ruining the chance of glorious family sing-along forevermore. 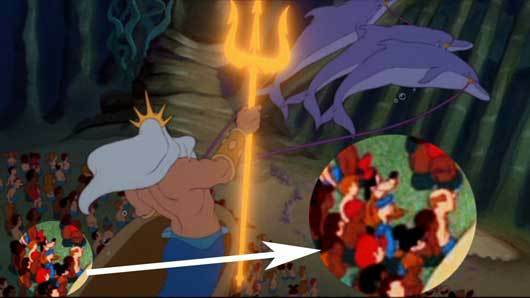 Mickey Mouse, Goofy, Kermit the Frog, and Donald Duck all make cameos during the scene where Triton arrives at the concert hall in The Little Mermaid. Keep the kids happy with Hopster for iPhone, iPad, and iPod touch. Get Hopster now!